Coonoor is the second largest hill station in the Nilgiri range of mountains. Surrounded by tea plantations and located at an altitude of 1839 metres, its climate is milder than Ooty. This beautiful place is quite popular in the form a getaway destination for the people of southern region of India. In the year 1819, John Sullivan, British Governor introduced this mesmerizing hill town to the world that was later developed by the East India Company. Most of the properties, residences or vacation getaways of the British have now been turned into heritage hotels in Coonoor. The lifestyle of the British in India was quite similar to the erstwhile royalty of India. They had built great structures that were abandoned when India gained freedom. Now these properties have been turned into heritage hotels which are not only perfect for accommodation purpose but also offer you an insight into the past heritage of that region. You can have a pleasant stay while enjoy every modern facility but in a traditional royal décor. 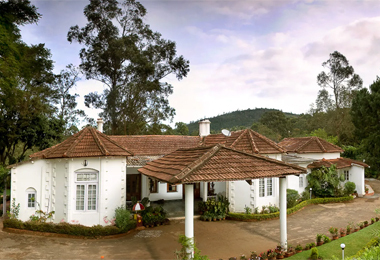 From the comfort of your home, you can easily make online booking for heritage hotels in Coonoor.